Don&apos;t miss this unique and amazing opportunity to purchase this fantastic 4 bedroom family home in the much sought after residential area of Sutton Green, close to Sutton Town Centre and Trains. Benefiting from fantastic transport links and great schools, Sutton Green is the perfect location for families looking to settle in a quiet area without having to give up easily accessible amenities. 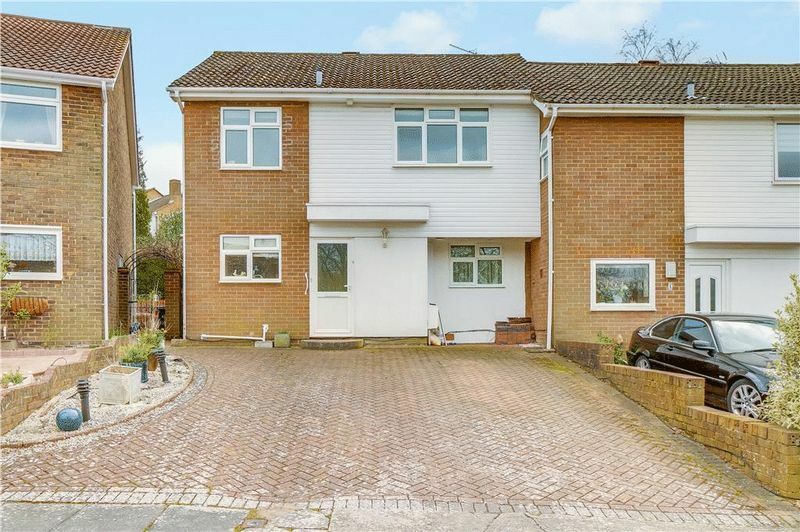 Situated in a quiet residential road, this lovely 4 bed end of terrace family home benefits from off street parking and a good sized garden to the rear. Downstairs benefits from an open plan kitchen/diner overlooking the rear garden, a large and bright reception with bay window to the front. To the first floor there are three good sized bedrooms and a family bathroom and to the second floor there is a larger than average loft conversion with modern en-suite. This is a chain free sale and as such the vendors can move quickly if desired. In a prime and central location and already benefiting from a loft conversion and opened up kitchen/diner, this is a unique and perfect opportunity to move in and put your own stamp on your next family home. With everything going for it, we do not expect this property to be around for long so please book your viewing now to avoid disappointment.